The national German championships will take place from March 1st to 3rd at the Stechert arena in Bamberg (Bavaria). The stars, Timo BOLL and Dimitrij OVTCHAROV are at the list of competitors. Timo BOLL in Bamberg might achieve something unique. 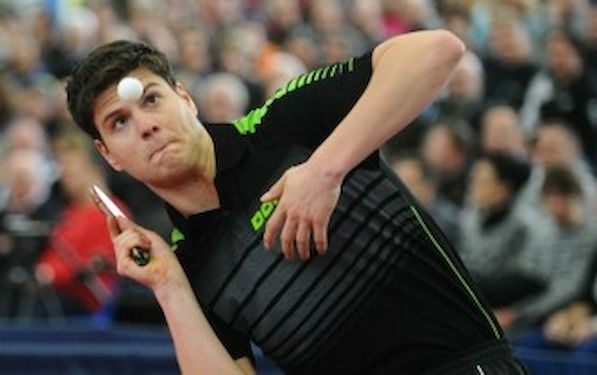 With nine titles in the men’s singles European champion leads at the history record of the nationals German Championships, together with Conny FREUNDORFER and Eberhard SCHÖLER. With another success, Boll will stay alone at the top. However, the competition will be strong with STEGER, Christian SUSS, OVTCHAROV and Patrick BAUM also aiming same trophy. In the women’s event, at the beginning of 2013 several players struggled with injuries. Defense player Irene IVANCAN, European vice champion in 2011, suffered a ligament injury in January and stated with trainings in late February again. Also for Kristin SILBEREISEN (tennis elbow) and Sabine WINTER (ligament in the left ankle) 2013 started roughly. “My goal is the semi-finals, even though that will not be easy. The competition is stronger each year. A lot will depend on the draw“, SILBEREISEN said. Top favorite for the title the winner of 2012, WU Jiaduo was forced to cancel the participation.She strained thigh already in Qatar but still hoped for the best until yesterday. ZHENQI Barthel (seeded no. 5) now took her position on top of the draw. Wu was the reigning champion in doubles too – partnering Kristin SILBEREISEN. Main Favorites in Men´s Singles are Timo BOLL, Dimitrij OVTCHAROV, Bastian STEGER, Patrick BAUM, Christian SUSS, Patrick FRANZISKA. In Women´s Singles: SHAN Xiaona, Petrissa SOLJA, ZHENQI Barthel, Sabine WINTER, Kristin SILBEREISEN, Irene IVANCAN.